2-year-old daughter, a US citizen, behind. But after his case was reported by US media, reversed and he was driven back to Phoenix, Arizona. After her death, her widower was granted parole in place – a US immigration exemption for "urgent humanitarian reasons or significant public benefit" for the families of service members – according to his lawyer Ezequiel Hernandez . 196590019] Mr Gonzalez Carranza himself illegally entered the US from Veracruz, Mexico in 2004 as a teenager. On Thursday, he was deported to Nogales, Mexico, where he spent se veral days living in a shelter for immigrants deported from the US, he told the Arizona Republic newspaper. "I feel so bad," he said, describing how worried he was for his daughter, who lives with her grandparents. "I'm thinking about, I might never see her again," he said. 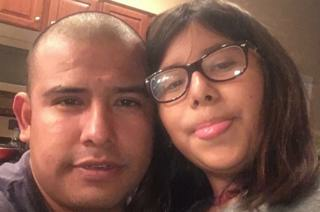 A spokeswoman for Arizona Senator Kyrsten Sinema said his office was working with Ice and the deported man's lawyer to assist the family. Congresswoman Ann Kirkpatrick decried Ice's action and blamed President Donald Trump, who has led a crackdown on illegal immigration since taking office two years ago. 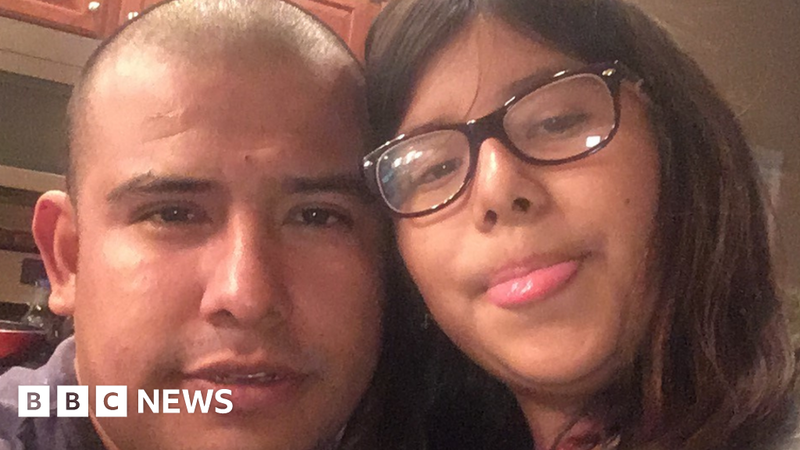 "I'm relieved to now learn that Mr Gonzalez has been allowed to re-enter the states and be reunited with his daughter, but to story of his arrest is just another example of the president's inhumane immigration policies, "she said in a written statement. In an interview with the Washington Post, Mr Her Nandez said the situation was difficult for Mr Gonzalez Carranza's daughter. "There is extreme and unusual hardship on this little girl," he said. "Not every deportation includes a child whose mom was killed in Afghanistan."